If you are in the Atlantic provinces, you can head to GT this week to get free Maple Leaf Hot Dogs! These Maple Leaf hot dogs are sale for half price in the flyer this week, and are just $1.98. Use the booklet coupon that was out a while back for $2 off Maple Leaf Hot Dogs, and you can get them for free! There is a limit of four on these, so if you plan to use many coupons you might want to make a couple of trips, or bring family members to help you out. I believe the coupons expire at the end of this month so this is definitely a great chance to stock up and throw them in the freezer for bbqs in the warmer weather. 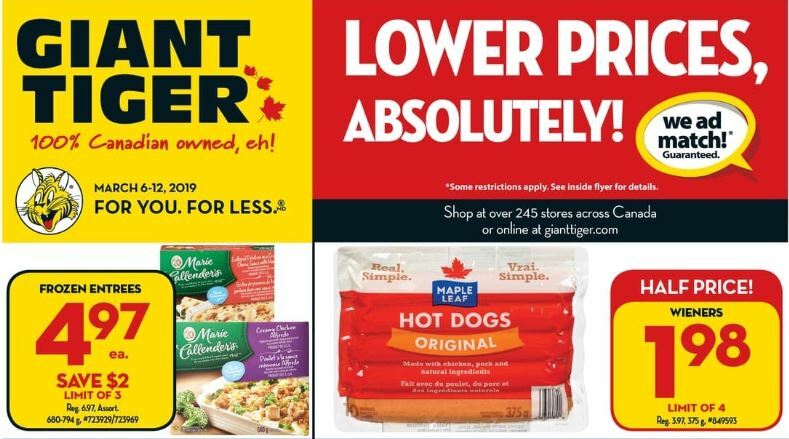 Click here to view this offer in the Atlantic Giant Tiger flyer.